Recently I shared where we are at in our adoption process. This journey is long and is proving to be discouraging. I admit, I thought the second adoption would be easier than the first. I thought we would just be updating our home study, taking a few required courses and waiting to be chosen. 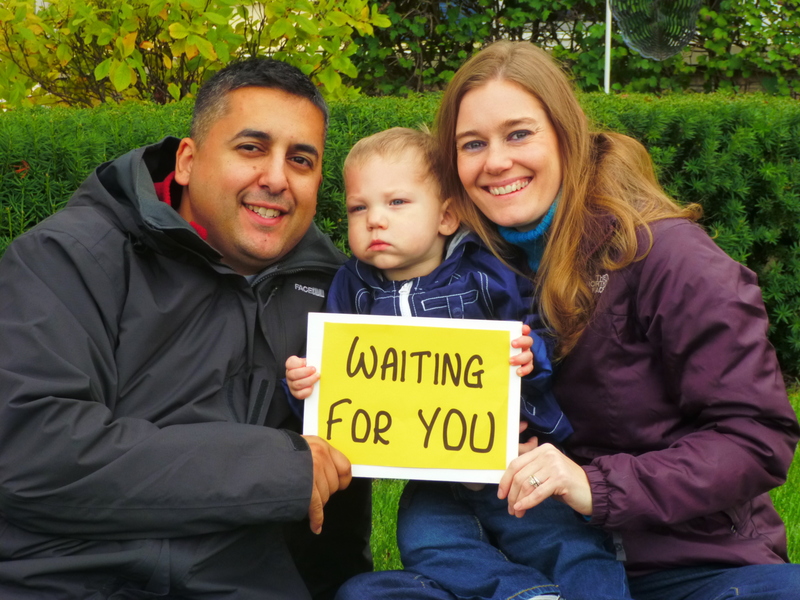 It has now been months of looking for an adoption agency that will take a “waiting family”. We know people are praying for us, so I thought I would share specific things you can pray for. We pray that God would guide and direct our steps as we continue our search for an agency, and even look for other opportunities to adopt a baby. Sometimes expectant mothers and waiting families connect through word of mouth without an agency! This hasn’t happened for us yet, but we pray that God would guide us to what He has for us. This request comes twofold. First, and most obvious, we pray for the provision of a baby. Second, we pray for financial provision. It can be so disheartening to look at various agency fees and see the costs. They are so much more than the fees we paid for our first adoption. Quite frankly, I have ruled out many agencies because I felt that their fees were too high. Philippians 4:19 says, “And my God will supply ever need of yours according to his riches…” While we don’t know how or when He will provide for us, we take comfort in that He has all those details worked out already. It is easy to get distracted as we hunt for an agency, worry about the money we need to save, complete boat loads of paperwork and watch the months tick by without seeing a change in our situation. It’s easy to get discouraged when every single week we hear that someone we know will be having a baby, and we have no hope of getting pregnant or see any possibilities of adopting soon. In the midst of all this, it is easy to take our eyes of Jesus and to stop trusting in Him. But keeping our focus on Him, waiting on Him, trusting in Him is exactly what we need to keep doing. During our first adoption, the Lord gave me the verse Psalm 27:13,14. It says, “I am confident of this, I will see the goodness of the Lord…Wait for the Lord; be strong and take heart and wait for the Lord.” I have continued to hold onto this verse as we desire a second child. The waiting is so not easy, but it is easier to handle when our eyes are fixed on Jesus and not our circumstances. Did I mention the boat loads of paperwork above? We are currently filling out an application for an agency, in hopes that they might start showing our profile in 6 months….but it could take up to 18 months. So in the meantime, if we find another agency, we have to apply to them as well. On top of that there are home study sessions, classes we have to take and books we need to read. All of this takes time and energy. The decision to place a baby for adoption is not an easy one. I know that Gavin’s birth mom and dad love him with all their heart. They wanted him to have what they couldn’t give him. The birth mom especially struggled with her decision to place Gavin for adoption. For our next adoption, I can only imagine the emotions this precious mother has, and even the emotions of those around her. The least I can do is uphold her in prayer. Will you join me? As we are in this time of waiting, it is a comfort to know that people are praying for us. In our lowest moments we certainly feel those prayers. So thank you for taking the time to lift our little family up in prayer as we wait to adopt. 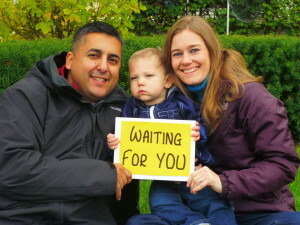 This entry was posted in Adoption, Family and tagged Adoption, waiting for you. Bookmark the permalink.